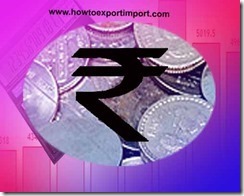 How does GST tax refund work under Export transactions? In this post the details on refund of Goods and Service Tax paid in exports are explained. 1. Obtaining non duty paid inputs and exporting final product without payment of duty. 2. Obtaining duty paid inputs and claiming refund of the same at the time of export of the finished goods without payment of duty. 3. Obtaining duty paid inputs, availing the input tax credit thereon and exporting finished goods after payment of duty (after utilizing such input tax credit) and thereafter claiming the rebate of the duty paid on exported goods. How to get refund as per GST system of refunds to exporter? It is recommended that the first option mentioned above i.e. option to procure duty free inputs for exported goods should not be available in the GST regime. This would obviate the requirement of submission of statutory form and the supplier of goods to the actual exporter would be required to pay the GST and will not be required to comply with various formalities presently required for making tax free supplies. It is further recommended that other two options may be made available to the exporter in the proposed GST regime. It is recommended that GST Law drafting Committee may provide for the provision of rebate and the legality of the same will be examined at the time of vetting of the GST law by the Law Ministry. Adjustment of GST refund amount ? The details on how to get refund of GST tax to exporter is given above. Abdul Rashid: On 30 July 2017 We are into export of readymade garments. Previously all our purchases were tax free ie. We provided Form H to all our suppliers. Now under GST how would we claim the refund of gst paid by us as post 1.7.2017 all suppliers are charging GST on the garments which are to be exported. Secondly what will be the procedure to export our old stocks which are manufactured before implementation of gst. Ie.prior to 30.6.2017 but are being exported now in July and August. Those goods were already purchased against Form H so no vat or any tax was paid on those garments. Kindly clarify the above. Thanking you in anticipation.